Stuffing the caps of mushrooms usually makes for a good appetizer so here I’m stuffing mine with bacon, cheese and other ingredients. 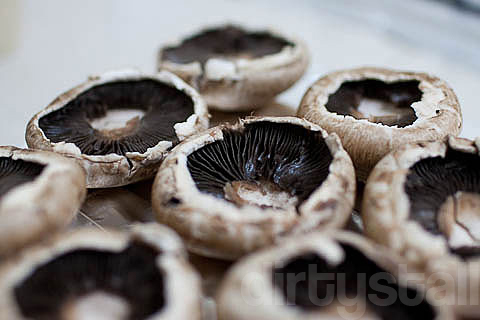 First I removed the mushroom stalks and chopped them up. Next I sautéed the bacon bits quickly to brown them, added in the chopped mushroom stems and continued for about 1-2 minutes over high heat. 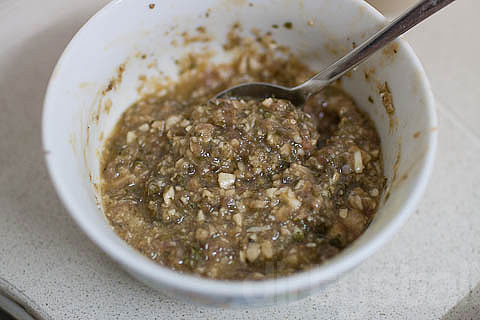 Lastly I mixed it well with the breadcrumbs, garlic, parsley, egg and onions. Stuffed the mushroom caps evenly with this mixture. Topped them off with a generous heap of parmigiano-reggiano cheese! 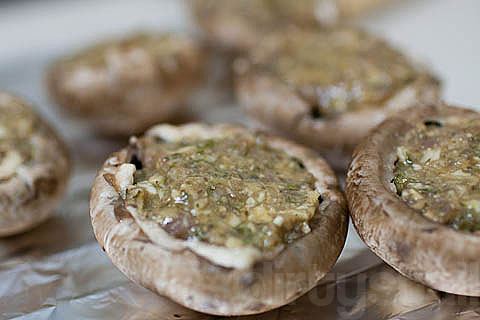 Finally, lightly brush the exterior of the mushrooms with olive oil. 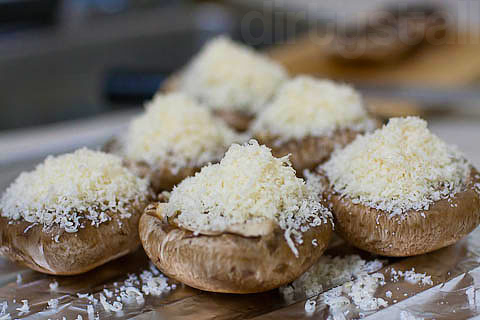 Then I arranged the mushrooms on a rack with lightly oiled foil and inserted into a oven (preheated at 220 degrees Celsius) to grill for about 10-15 minutes, until the cheese has melted and browned on top. Serve hot from the oven! Yummy!! 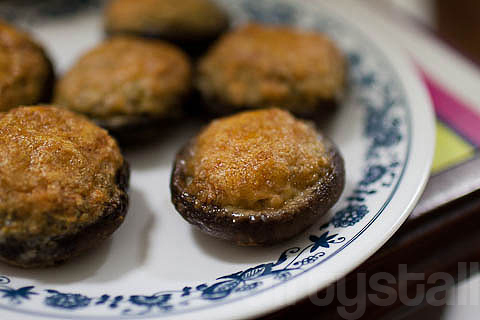 5 Responses to "Stuffed Portabello Mushrooms"
wow looked simple yet delicious. gonna try it some time. Slurp!